.CO, part of Neustar, Inc., had its first domain name auction in China. 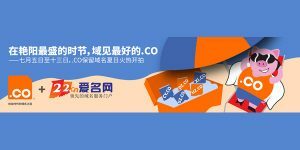 The auction, which was held exclusively on Chinese auction platform 22.cn, offered 19 two-letter domains like CY.co and XN.co. The auction concluded today July 13. The total proceedings of the auction were about $250,350. Top sellers were cy.co that was sold for $32k and zq.com that sold for $29k. Thanks for the results. LL.biz went damn cheap? Here’s a few examples of cv’s getting on average double vs cc’s and possibly the difference between selling in the us global market vs the china market.